Join our affiliate program to earn a generous commission for every sale! We track your sales through your own unique promo code. All you need to do is to send us an email with your request. We will let you know your promo code, and you can start making sales by creating a banner and sharing it on your blog/facebook/twitter. We can also do giveaways if you want to do so for your followers! Commissions are paid on the 1’st of every month with a sales report attached so you can keep track. For some reason, we suddenly had a massive increase in pink shoelaces ordered on our site the last couple of days. 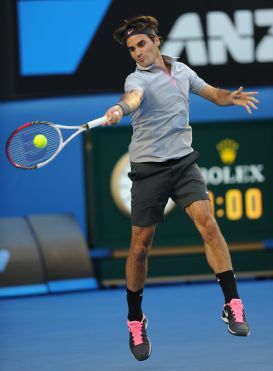 While trying to figure out why, we saw that Roger Federer is using the bold colour in the French open tennis tournament! Good on you Federer!! Definitely stands out from the crowd! Our best selling shoelaces for the moment are the unusually coloured dress shoelaces. We sell all kinds of shoelaces, but these ones have really taken off! Must be because they are just a tiny bit AWESOME! The image below is of an order we are packing up right now, and the receiver will definitely stand out wearing these funky fashion statements!! Did you know that dress shoelaces come in other colours than black? CRAZY!!! Finally, they have arrived, and you can grab them just in time for the New Years party. We have dress shoelaces to fit every personality and style, even traditional black shoelaces which are still awesome, but just a tiny bit less funky. ps: stock will probably last a while, there is no real urgency, we just want you to buy a few pairs quickly so we can restock and sell some more before the year ends! True story. Here is a picture of a cute squirrel! 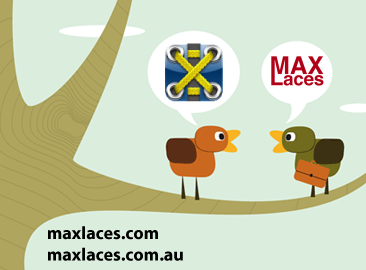 And btw, we have lots of new shoelaces on MaxLaces.com.au!!! 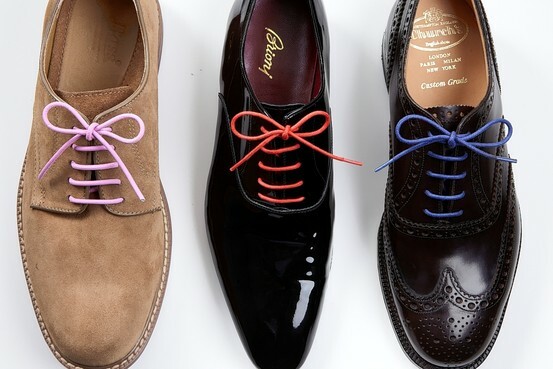 The trend of wearing dress shoes with unusual coloured shoelaces are rising in popularity! Read more about it here. Maxlaces have just received a huge shipment of fun and colorful dress shoelaces, and we are currently uploading them to our site.